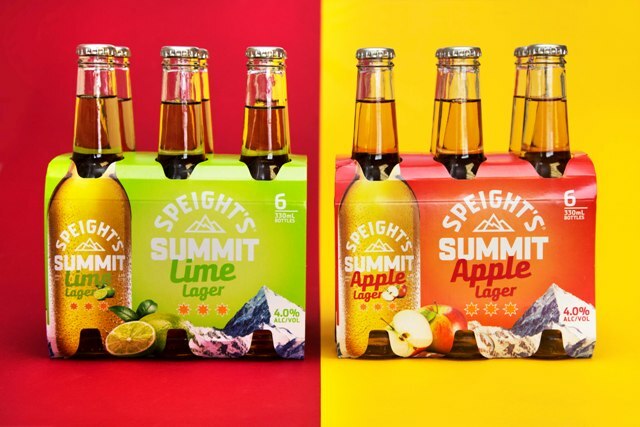 The Speight’s family is growing after the company has launched two new refreshing, 4 percent flavoured beers to its Summit range, and the debut of its iconic Summit Lager in a new clear bottle. Speight’s Summit Lime Lager has been expertly blended with natural lime for a zesty finish. Speight’s Summit Apple Lager is created with crisp apples, resulting in a beer that’s refreshing to the core. The result of combining classic flavours with Summit Lager is two refreshing, golden lagers with a twist to really tingle the tastebuds. “Flavoured beer has been growing in popularity overseas and Summit’s new flavours are a great example of this distinctive beer style, with an added twist,” said Dave Pearce, innovation and insights director at Lion.